So how exactly does a busboy end up becoming the chef/owner at a Chinese restaurant that earned a Michelin star in just six months? Simple: an unwavering focus on tradition. Mister Jiu’s sits in an unassuming yet iconic location in SF’s bustling Chinatown, a building constructed in the 1800s which once housed one of Brandon’s favorite childhood restaurants. 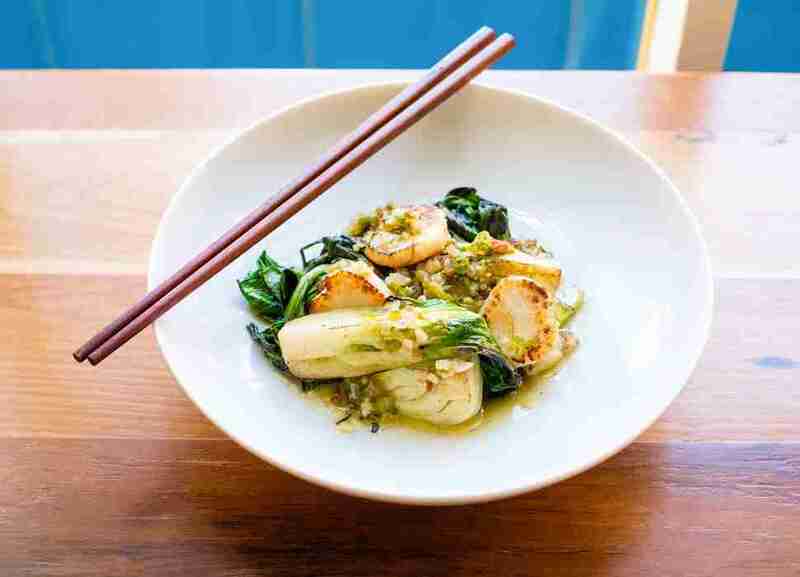 The menu leans heavy on traditional Chinese dishes that are fused with locally sourced ingredients from Northern California, and the result is what many have called one of the best restaurants in the country. Before opening Mister Jiu’s in April 2016, Brandon found himself working at three lauded Bay Area restaurants -- Zuni, Quince, and Bar Agricole -- as well as halfway across the world learning traditional cooking styles in Italy and Shanghai. These trips were inspired by Brandon’s frustration with restaurant culture: "The industry was getting egotistical, and I didn’t like the direction it was going. I started searching for what I thought my purpose should be." As Brandon began to embark on his existential journey into what cooking meant to him, his grandmother passed away. As a child, he spent many days following her into store after store in Chinatown, noticing how diligent and thoughtful she was about picking specific ingredients. Now, he felt it was his responsibility to pass those traditions on: “It was like I’d missed my opportunity to really understand her recipes. That impacted me and made me feel like it was important for me to pursue Chinese cuisine.” So he did, in more ways than one. Brandon’s thoughtfulness is evident in his cooking and ideology. He created Mister Jiu’s as a way to show people how versatile and exciting Chinese cuisine could be, but first he would need inspiration and experience. At Zuni and Quince, he’d notice chefs incorporating California ingredients into Mediterranean recipes: “I had an idea. This could be done with Chinese cuisine... I could balance California ingredients with Chinese techniques and classic Chinese combinations of flavor,” he states. When it came to choosing a spot for Mister Jiu’s, Brandon had a few locations in mind, but ultimately Chinatown felt right. The space was previously the home of Four Seas, which occupied the historic building for over 50 years. “I had a lot of family celebrations there; I remembered it as this massive place of celebration that was always packed,” Brandon remarks. “They had a great run, but at the end it was a shell of its former self, and I didn’t feel like I could walk away from the opportunity to rejuvenate that same feeling within Chinatown and within that building.” Though the interior is much different now, with mid-century modern furniture, wide plank wood floors, and neutral colors, if you look straight up, you’ll find a trio of gold metal chandeliers with lotus flowers that are original to the Four Seas dining room. For someone as friendly and convivial as Brandon is, he’s reluctant to name his favorite dish. He was, however, pretty loquacious about the duck. 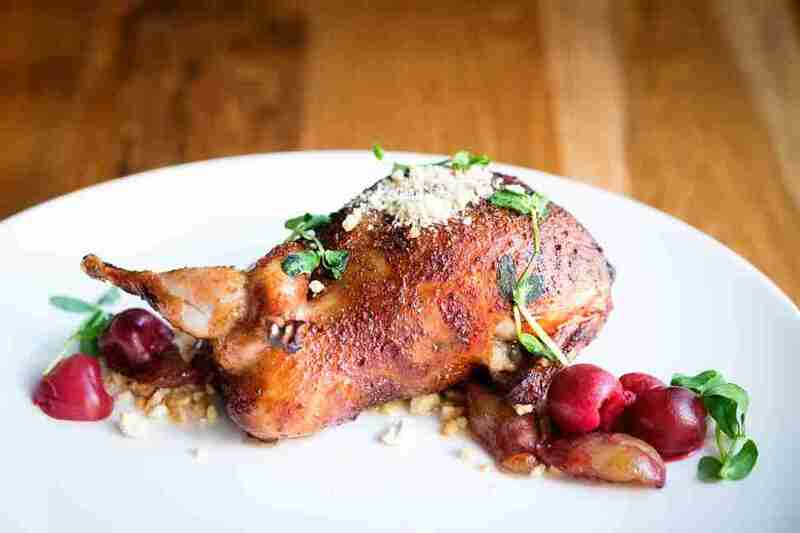 “Our duck is from Liberty Farms, which is run by fourth-generation duck farmers. These are well-taken-care of birds. They come in whole -- head on, feet, everything -- and we butcher them down," he explains. "We use an air compressor to pump air under the skin, then baste it with hot water and season it with brown rice syrup, dark soy, and five-spice. 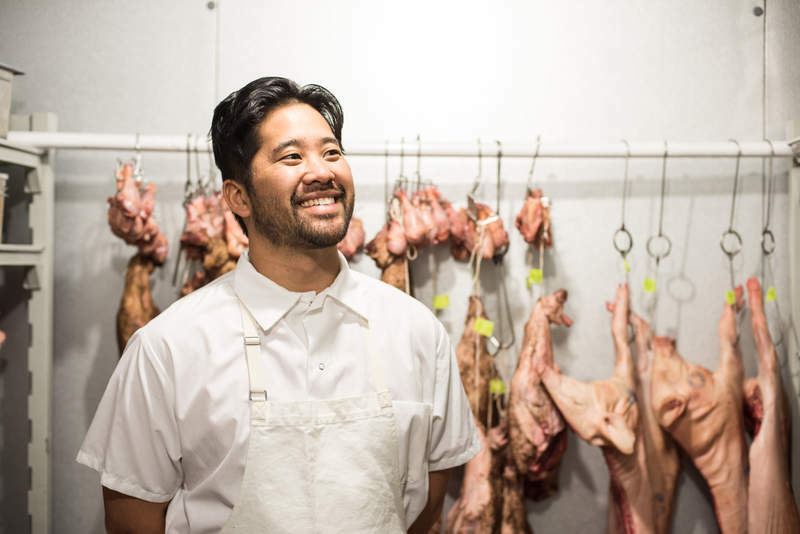 Then we hang it for four or five days.” And though he notes serving roasted duck in Chinatown is a bit of a cliché, he also knows it’s an iconic Chinatown dish that deserves to stay on menus. That seems to be an ongoing theme for Brandon Jew: honoring legacies. Cooking with the thoughtfulness he learned from his grandmother; rejuvenating a legendary Chinatown institution; creating dishes that pay homage to Chinese traditions as well as the local ingredients of Northern California. Brandon may constantly question his dishes, but it’d be rather hard for him to question his success. We didn’t, and that’s why Brandon Jew is our pick for best San Francisco chef of 2017. Daisy Barringer is a freelance writer who grew up frequenting the banquet-style restaurants in Chinatown, and took enormous pleasure in spinning the lazy Susans around... and around... and around. It wasn’t annoying at all. Follow her on Twitter @daisy.